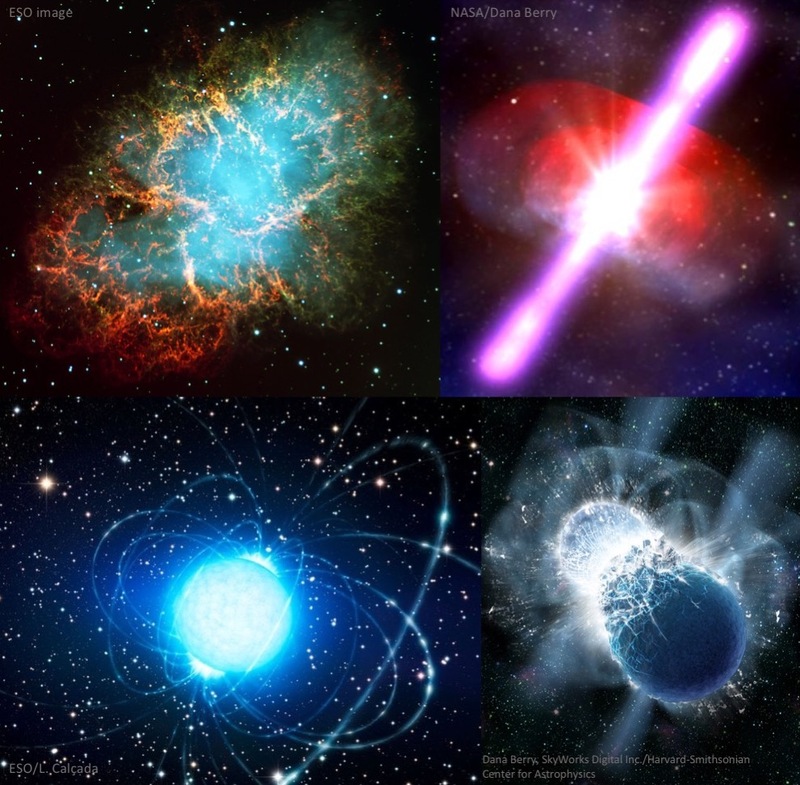 Gamma-ray bursts (GRB) and core collapse supernovae (CCSN) are among the most violent and brightest events in the universe. They have decisive impacts on their environments by injecting energy and heavy elements and are also key probes of the distant universe. A very general scenario has emerged to explain these events, in which many unsettled issues remain unanswered. In CCSN, the collapse of the core of a massive star leads to the formation of a protoneutron star releasing vast amounts of energy in the form of neutrinos. A shock wave is then energized by a process that remains elusive, but probably involves the interplay between neutrinos and the complex multidimensional dynamics driven by (magneto)hydrodynamic instabilities. This shock wave accelerates the ejecta by propagating into the complex structure of the star and circumstellar medium, leading to a variety of light curves and spectra. In GRBs a jet is launched from the central engine, a BH or a magnetar resulting from the collapse of a massive star (in type Ibc supernovae) or from the coalescence of two compact objects. It accelerates to ultra-relativistic velocities as thermal or/and magnetic energy is converted into kinetic energy. A fraction of the jet energy content is then dissipated at the photosphere or beyond via shocks or magnetic reconnection to produce gamma-rays. Eventually the jet is decelerated by the external medium, the dissipated energy being responsible for the afterglow. The spectacular advent of multi-messenger astronomy and the progress of time-domain astronomy are starting a revolution in our knowledge of these transient events. The most impressive step of this revolution is certainly the ground-breaking direct observation of gravitational waves from the coalescence of binary neutron stars and the detection of an associated GRB and kilonova. These observations confirm the basic theoretical picture but also challenge theoretical models, and many questions remain on the modelling and interpretation of this event. Already in events observed only in the electromagnetic waves, the complexity and surprising diversity is challenging our understanding of many aspects from the central engine injecting the energy to the processes by which this energy is radiated. 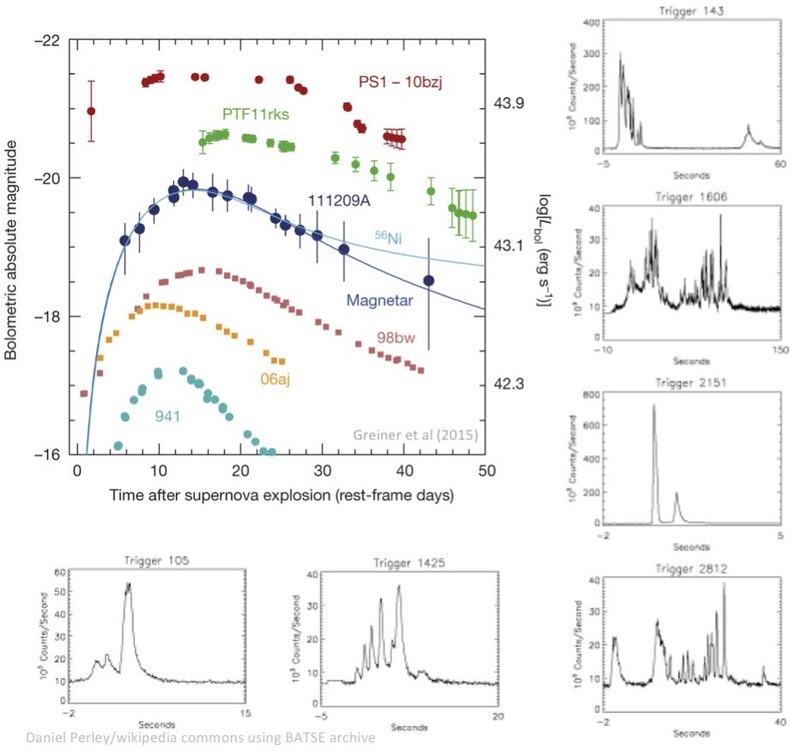 For example, the discovery of superluminous supernovae, ultra-long GRBs and the extended emission in some short GRBs has recently triggered intense interest in the model of a millisecond magnetar to power a large diversity of extreme events. The importance of the interaction with circumstellar material coming from outbursts in the latest stages of stellar lifetime has also been highlighted by recent observations and theoretical developments. The discovery last year of a repeating fast radio burst calls for an identification of the associated object, potentially a young magnetar. The interpretation of the large diversity of transients thus remains very uncertain and forces us to reassess the link between various kinds of events. This is even more timely in the perspective of future facilities such as the LSST (large synoptic transient survey), which will observe an unprecedented number of transients. CCSN and GRBs are also prime targets for multimessenger astronomy. Further detections of gravitational waves and neutrinos will bring invaluable probes of these violent events. Recent developments in 3D numerical simulations have emphasized the crucial role of complex multidimensional dynamics for the central engine and will be instrumental in the challenging identification and interpretation of these signatures. The Ψ2 programs bring scientists in a single location for a signficant amount of time. Unlike typical conferences, the daily schedule is composed of informal talks in the morning and open time for discussion and collaborative work in the rest of the day. About 20 participants are expected to be present at any time, the nominal duration of the stay being two weeks. We will organize 2 to 3 talks per day, so as to leave ample time for discussions and collaboration. Informal discussions on topics raised by the participants will also be organized in an interactive manner. The main goal of the program is to bring together and foster interactions between several communities (core collapse supernovae, gamma-ray bursts, neutron star mergers and magnetars). For this purpose, we will avoid dividing the workshop according to different astrophysical objects and we will rather favor an organization around transverse topics common to several communities. You will find below a list of such transverse topics and associated questions that will be discussed. What is the explosion mechanism of core collapse supernovae? What are the respective roles and interactions of hydrodynamic instabilities, rotation, and precollapse asymmetries? Under which conditions can a core collapse supernova produce a relativistic jet leading to a GRB? Are jets also present in some normal core collapse supernovae? What role do magnetic fields play in the dynamics? What is the origin, intensity and topology of the magnetic fields of magnetars at birth? Which compact object is formed: a normal neutron star, a magnetar or a black hole? What are the observational signatures of explosions producing each type of object? Are there failed explosions/direct collapse and how frequent are they? What is the ultimate source of energy of extreme explosions: accretion or extraction of the BH/magnetar rotational energy? 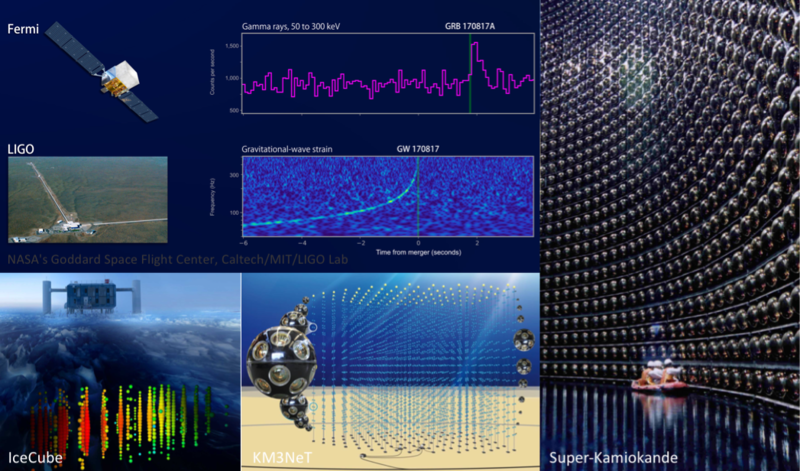 What can we learn today and in the future from the detection of gravitational waves and neutrinos? What are the expected signals from CCSN and GRBs? Which ingredients of the explosion mechanism leave an observable imprint in the gravitational wave and neutrino signals ? Can GRBs accelerate particles to ultra-high energies? 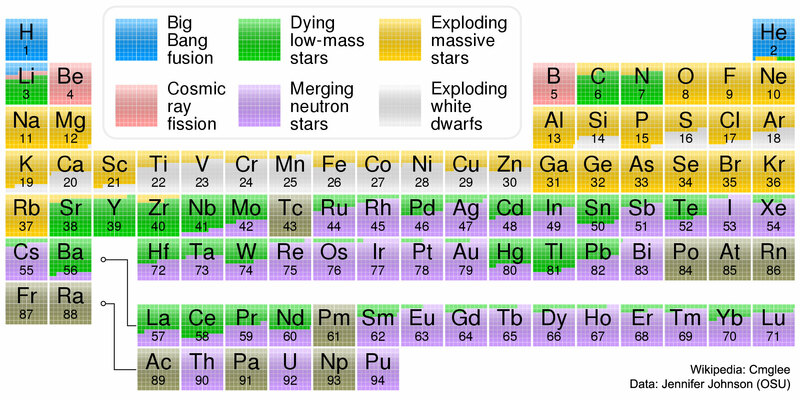 What are the nucleosynthetic yields of each type of explosion? How can spectra be used to infer nucleosynthetic yields ? What do/will we learn from past and future observations of kilonovae for the production of r-process elements in neutron star mergers ? Are r-process elements also produced in other kinds of events such as jet-driven supernovae? What is the off-axis electromagnetic signature of GRBs? Where is the energy dissipated in GRB jets: below or above the photosphere? What are the dominant dissipation mechanism(s) and radiative process(es) at work? How can the surprising behavior (plateau phase, flares) of the early afterglow of GRBs be explained? What causes the diversity of supernovae light curves and in particular the extreme luminosities of superluminous supernovae ? What can we learn about the central engine and progenitor of different classes of supernovae and GRBs from the modelling of these observations? Are fast radio bursts produced by some of these events? What are the progenitors of the different kinds of explosions and transients? What are the respective roles of binary interactions, rotation and magnetic fields? What are the properties of the galaxy hosts of each type of transient? Using supernovae and GRBs as a tool what can we learn about cosmic star formation rate history, galaxies at high redshift, close environment and mass loss history of the progenitor?